Vet visits should increase from once a year to every six months. That way, you can stay up to date on your furry friend’s health with vaccinations, a thorough physical exam, and blood and urine tests for kidney or liver diseases, which are easier to treat when detected early. Changes in behavior indicate that something’s amiss, and an emergency visit to the vet may be in order. Common causes for concern include increased urination, loss of bladder control, and digestive problems along with excessive drooling, panting or coughing. When it comes to your pet’s diet, keep it light, especially if your dog is overweight. In that case, restrict feedings to a few times a day, putting away the food bowl when they’re finished and reducing treats and scraps to a minimum. As for the felines, crash diets can cause serious liver problems, so make sure they get enough kibble. For one thing, losing a tooth to decay not only makes it harder for your dog or cat to eat but also pick things up and groom themselves. Moreover, an infection in their gums could enter the bloodstream, leading to much more serious health problems that pose a threat to their life. Focusing on their strength, flexibility, and balance can bring back some of that youthful vigor, if you make the effort. A contributor to Healthy Pets strongly encourages passive range-of-motion exercises for cats and dogs that involve flexing and extending their limbs in different positions. Cats know where the litter box is — just make sure it’s not too hard to reach if they have mobility issues. As for dogs, they can’t hold their bladders for as long as before and could use a trip outside every four to six hours, depending on the breed and weight. Because healthy interaction is crucial to your dog or cat keeping their wits. If you’re looking for some fun games to play with your older canine companion, Petful has some recommendations, including variations on three-card monte and hide and seek with treats. You’ll both have a blast. Toys are another way to keep those brains a-buzzing, and there’s more available on the market than you would expect. iHeartCats has picked their favorites for the elderly felines, and they include a whole variety of birds, beavers, and charmers to keep them on their toes. 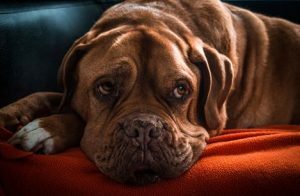 Slippery surfaces like hardwood floors are often difficult for older dogs to navigate, so throw down some rugs or carpet runners in areas they walk most, including the stairs. Meanwhile, pet steps can help your critter get themselves up on the couch or bed when nap time rolls around. It may be much more difficult emotionally than you anticipate. Although they’re not human, the relationship you have with your dog or cat is something special that can’t easily be forgotten. If you need help dealing with the grief, you can find it online through bereavement programs that can help you kickstart the healing process. There is still lots of love and joy ahead. Older pets are renowned for their devotion and affection toward their owners, which should make these years extremely charming for you both as well as full of memories to cherish forever.